New Year Fireworks & A Merry Christmas! 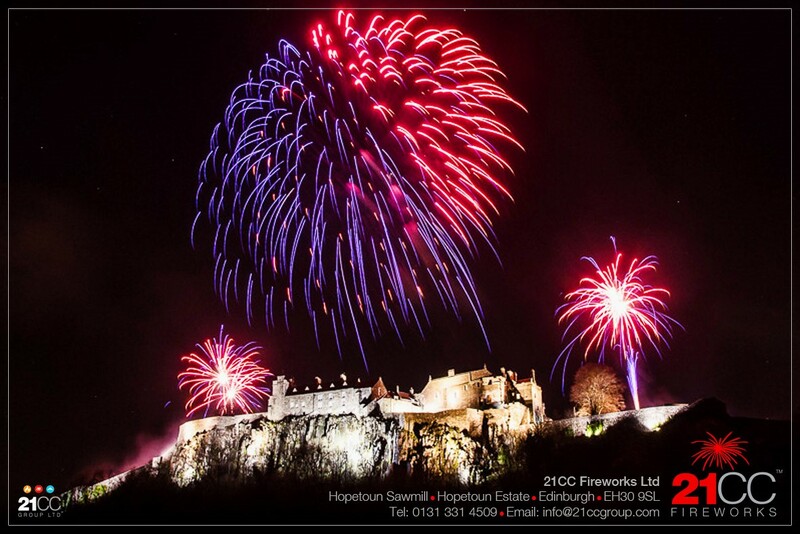 New Year Fireworks – What a great end to 2015 for 21CC Group Ltd! 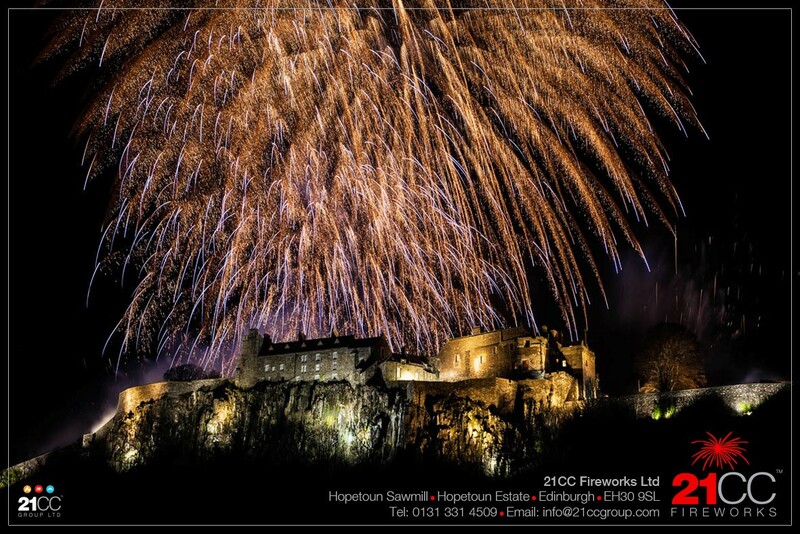 21CC Group Ltd have had a fantastic Christmas and New Year Fireworks season delivering professional firework displays throughout the UK for a range of clients. Work on our Christmas switch on events starts early in the year, working closely with our clients to create the perfect show design, impact and choose the all important music! This Christmas we designed a show that also incorporated lasers, and the multi effect show was fired across a river, all set to Christmas music. 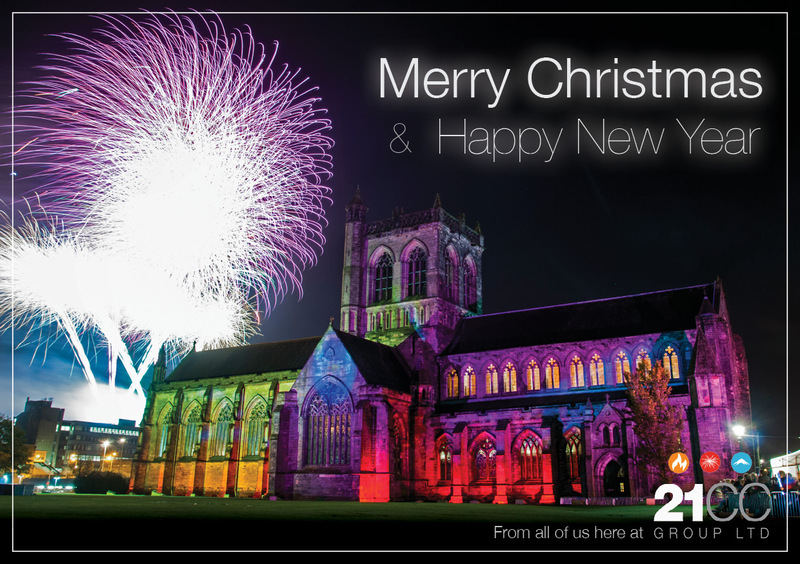 The result was stunning, with the creation of Christmas images onto a church spire, Christmas messages written across the river bank and an enormous high impact firework display that could be viewed for miles around. To add to this, we fired snow confetti over the heads of the crowd when the countdown reached zero! We were thrilled with the result, but more importantly so were our clients who described the show as ‘world class! 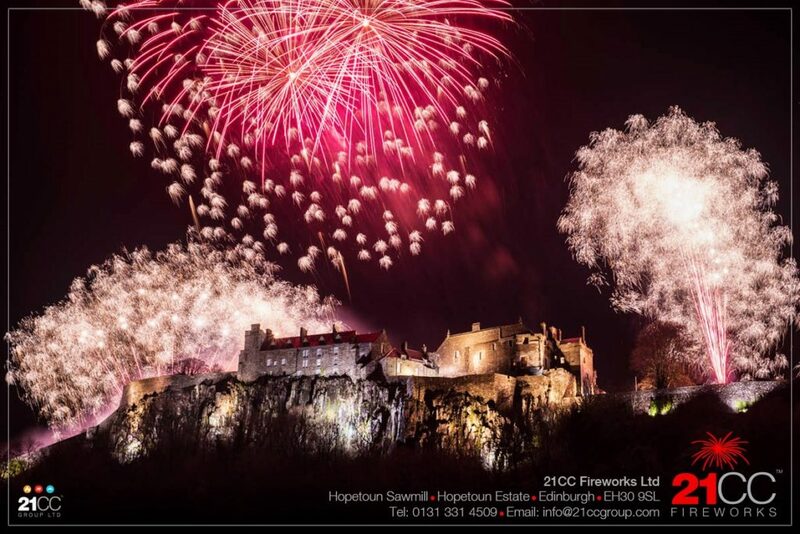 Hogmanay saw us firing many new year fireworks shows including working again at the stunning Stirling Castle, where we fired two different shows so the local families and children could enjoy a big display without having to wait until midnight! Geoff and the team wish all of our clients and suppliers a very happy new year, and we look forward to working with you again very soon. If you would like to talk with us about your Christmas Fireworks, New Year fireworks or management of your event with our sister company 21CC Events Ltd, we would love to hear from you. You can call us on 0131 331 4509 or email info@21ccgroup.com. The photos of our new year fireworks in this blog post are by PK Perspective (www.pkperspective.co.uk). A Very Scottish Mini Tattoo Event!